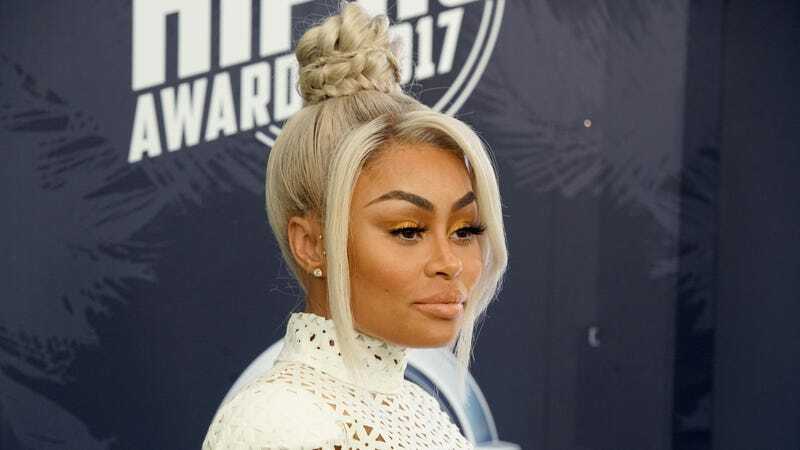 Blac Chyna is reportedly suing the whole entire Kardashian family for ending Rob and Chyna, the not-that-great reality show about the Kardashian no one speaks about and Chyna, the mother of his child. According to the suit, obtained by TMZ, Chyna alleges that the Kardashians interfered with the production of the show so much that E! eventually cancelled it, causing Chyna to lose out on a bunch of money that she would’ve eventually gotten from filming the second season. In addition, Chyna is also suing the family for battery, claiming that Kardashian physically assaulted her during a domestic violence incident, during which he allegedly ripped her bedroom door off at the hinges. He also allegedly threatened to kill himself multiple times. In July, Rob and Chyna got into it in a very public and ugly social media spat that started with Rob posting a bunch of very explicit nudes and allegations of cheating against Chyna, who responded on Snapchat accusing him of domestic violence. The pictures uploaded to Kardashian’s social media accounts were supposedly in response to a video of Chyna making out with another man. In response to this outburst, Chyna promptly lawyered up—with the help of her legal counsel Lisa Bloom, she got a restraining order. Sources close to E! told TMZ that the documents they have proves that this is simply not the case—the second season of the show would’ve carried on as planned had Chyna been willing to be in the same room as Kardashian. E! was reportedly not thrilled with the first season’s numbers—it premiered to excellent ratings but wasn’t quite able to maintain that momentum over its duration.